Redline Bicycles is dedicated to riding in the dirt. We got our start in 1974 by reinventing the BMX race fork when we released the first tubular chromoly design to the market. From that beginning, our bikes quickly became the must have BMX bike for racers and freestyle riders alike. Today, our bikes are used by the best BMX riders around – including Sam Willoughby – Olympic Medalist and world champion; Alise Post – national champion; and Brandon Dosch – X Games Medalist. The bottom line is we love riding in the dirt and that passion is found in the bikes and accessories we build. 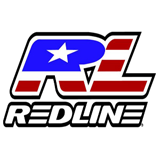 Ride the winning line, Redline bicycles.